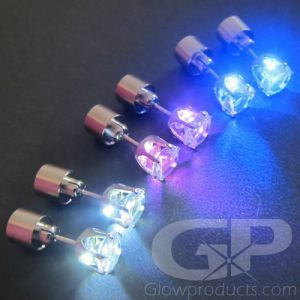 - Glow in the Dark LED Heart Pendants - The perfect Valentine's Day party favor! 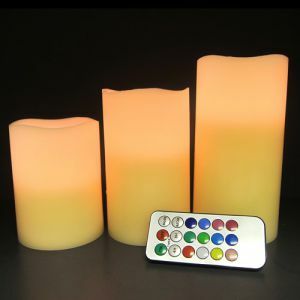 - 3 Piece Flameless Candle Set with Remote Control - Lets you control the color and the mood of your special Valentine event. 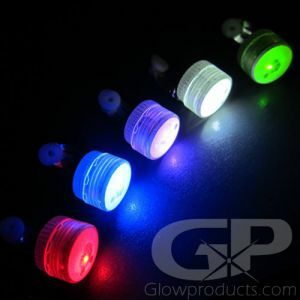 - Red, Pink or White Ice Cubes - transform any drink into a light up Valentine's Day Cocktail! 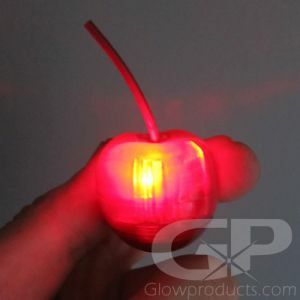 And you can use them in glowing Valentine's Day displays and decorations too! 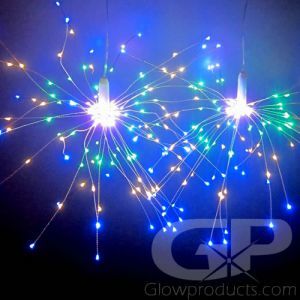 - Red, Pink or White Glowing String Lights - Easily create instant Valentine's Day light up centerpieces and party decorations. - Red or White Wine Glasses - Make that romantic intimate dinner extra special, or have everyone shine at your Valentine's Day Gala Fundraiser! If you're planning on trying to impress that special someone, there's no need to stress or spend a ton of money on Valentine's dinner or extravagant jewelry. 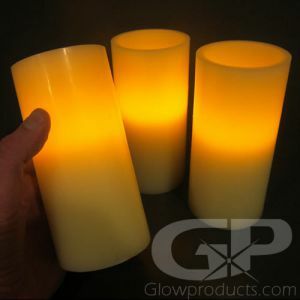 Create a fantastic romantic dinner at home by setting the scene with a little help from Glowproducts.com! If it's possible, move some furniture around and set up a table for two in the living room. This makes for a much more romantic scene than just eating at the kitchen table (or at the coffee table in front of the TV). 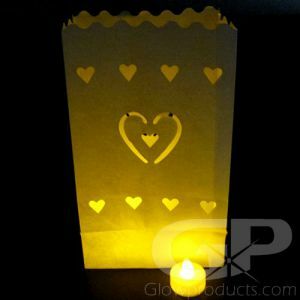 Then decorate the room with a few luminary bags with heart shape cut-outs and light them up with the included tea lights. 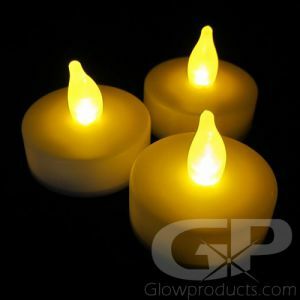 Set up our 3 piece Flameless LED Candle Set with Remote Control. 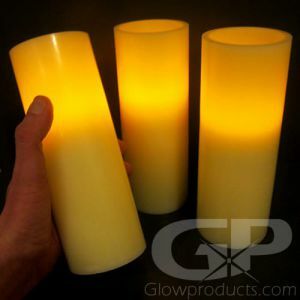 You can use this as an easy glowing centerpiece or set a few around the room to set the mood. 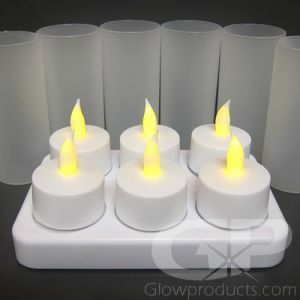 The cool thing is you can even set these candles to glow with white, red or even pink light! 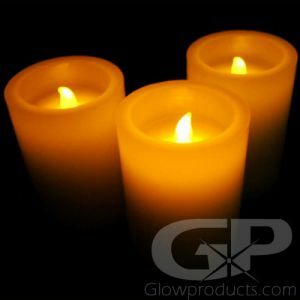 And because they use battery operated LED lights instead of open flame, you can leave them unattended while you get dinner ready. 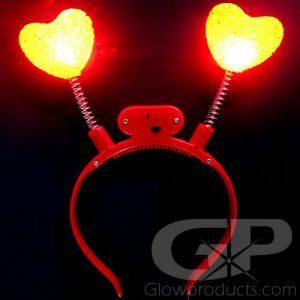 A great way to create buzz for your upcoming school dance is to have a Light Up Valentine's Day Dance Party! 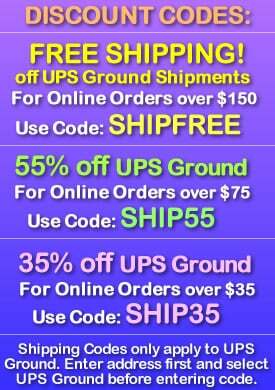 This can also be great way to fund raise for school trips, sports teams and grad parties. 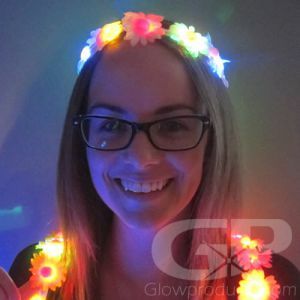 If your school doesn't allow glow sticks, that's OK – we have a great range of glow in the dark wearables including battery operated LED Heart Pendant Necklaces, Red and Pink Light Up Bangle Bracelets and super fun Flashing Heart Deely Boppers. 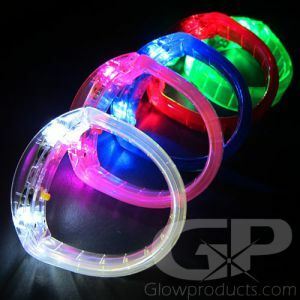 Pink or White LED 9” Light Sticks are an awesome replacement for traditional 6” glow sticks, and there are also high quality 7” Battery Operated Glow Sticks available in Red and White! 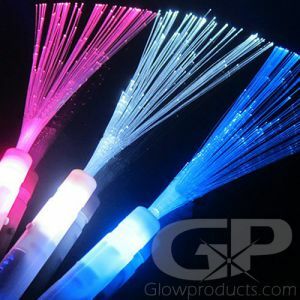 Pink and White Fiber Optic wands are another great option for fundraising as these unique wands are truly eye catching. 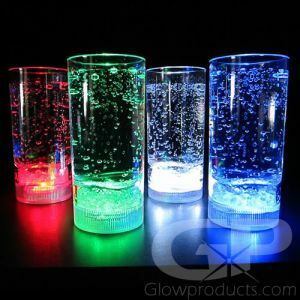 And if you're serving up beverages, check out the Light Up Tumbler Glasses available in Pink, Red or White colors. These can be sold for big profit! 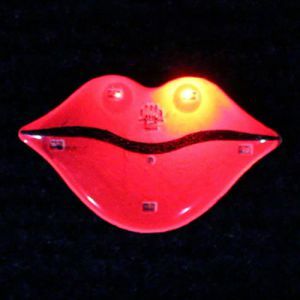 It's easy to transform your school's gymnasium into an incredible Valentines light display by decorating with a few simple but effective glow in the dark party supplies. 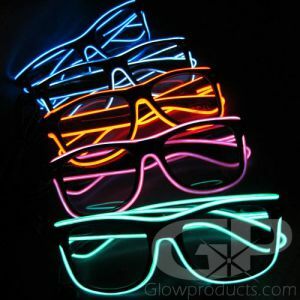 You can create glowing light up signs with EL wire kits. 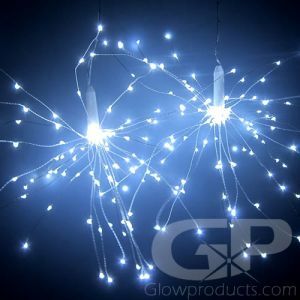 LED Fairy String Lights can turn anything that they are wrapped around into a sparkly master piece. 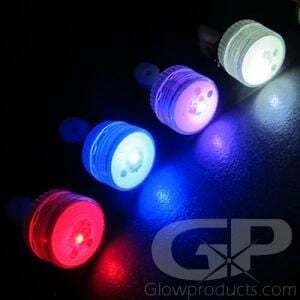 Mini Clip and Balloon LED Lights will light up your balloons either from the inside or you can clip them to the outside of the balloon as well. 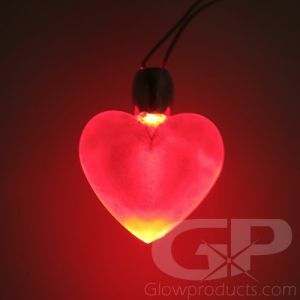 Light Up Luminary Bags with Heart Designs immediately create an amazing atmosphere, and with everybody lit up with heart shape pendants, bracelets and wands, your job is done! Your school's Valentines dance will never be the same! With so many worthy causes and charities out there, it's important to set your fundraising gala apart from the rest and make them memorable. 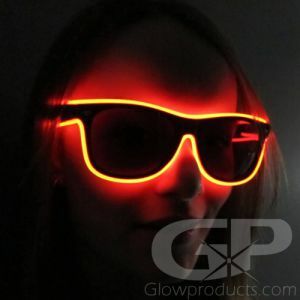 That's where Glowproducts.com comes in! 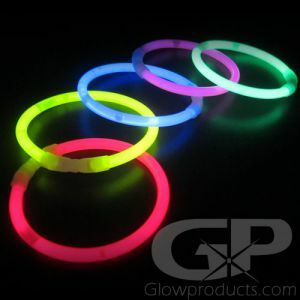 We have over seventeen years of providing glow in the dark party supplies to hundreds of charity events, fundraising galas and glow golf charity tournaments. To help you take advantage of our years of experience, here's a few ideas for your event. Having a live auction event during your gala evening? 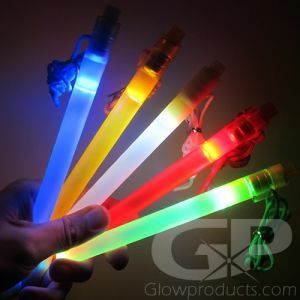 Use bright 12” glow sticks, flashy fiber optic wands or 9” LED batons as live auction wands! 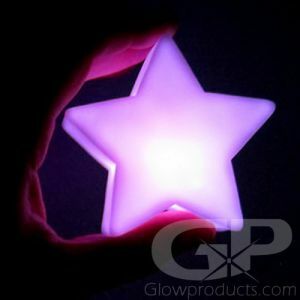 Bidding becomes so much fun people have a hard time putting these down! Having a Raffle? 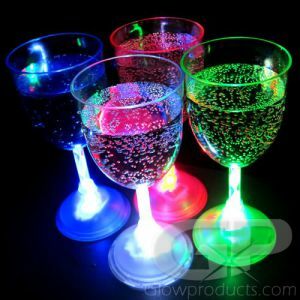 Attract attention and increase ticket sales with Light Up Champagne Flutes – with every ticket sold get a free glass of champagne and you get to keep the glass! 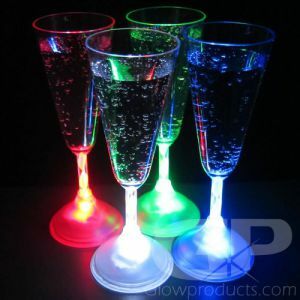 And remember, the Glow in the Dark Champagne glasses can be custom printed! 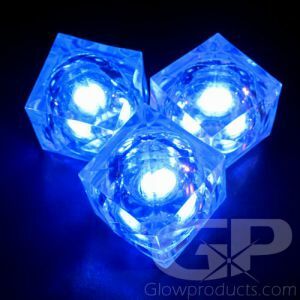 At the bar, sell special money raising drinks – and everyone can see that you've donated when there are a few light up ice cubes in your glass. 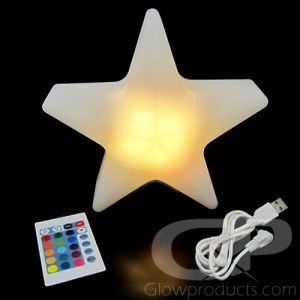 Lighted centerpieces and glowing tabletop decorations are another fun way to raise money – all of your guests can bid on the light up centerpieces with either a silent or live auction. 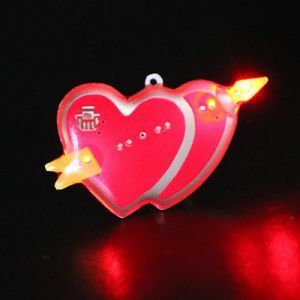 Quickly and easily identify all your hard working volunteers with a Heart Shape Pendant. 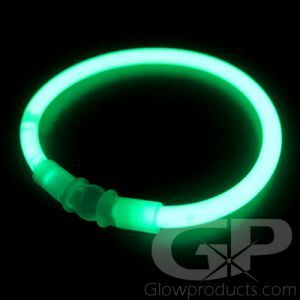 To identify guests, you can use our pink glow in the dark wristbands. 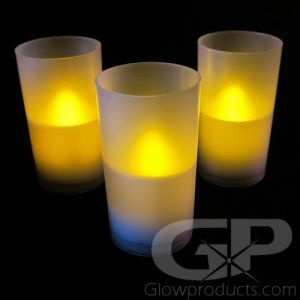 Both can be custom printed with your event name, charity logo and website or sponsor's information! 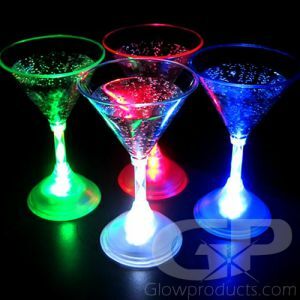 If you are interested in speaking with one of our sales associates regarding your event, or would like to enquire about getting your Light Up Wine Glasses, Glowing Martini Glasses or Light Up Pendants or Glowing Wristbands custom printed, just give us a call. 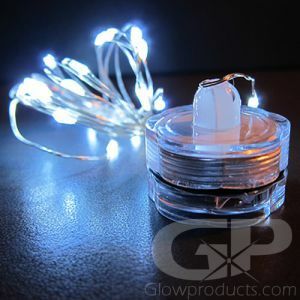 Call us, toll-free, at 1-877-233-GLOW(4569) and we can help with your glow in the dark party supplies for your light up Valentine's Day charity gala today!